Have you ever thought about where your water comes from? All most of us really worry about is the moment when the water decides to stop flowing from the faucet. 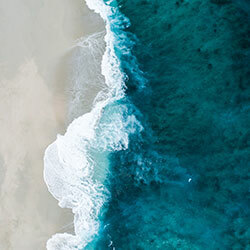 Fortunately, thanks to the hard working men and women of the water districts in Santa Barbara, Carpinteria, Ventura and the surrounding areas, we almost never have to worry if the water will stop flowing. At American Residential and Commercial Services, we care about the health and safety of our clients and this includes the quality of the drinking water coming out of your pipes. Generally, as water consumers, we don’t really think about the water coming out of the tap, we just assume that it is ok. Unfortunately, that is not always the case, particularly if you are in an older area with aging plumbing infrastructure. We all remember the situation in Flint where the amount of lead in the drinking water made it not fit for human consumption. While those responsible were not specifically honest with the general public, the issue came down to the network of old pipes that were used to carry water to the residents. 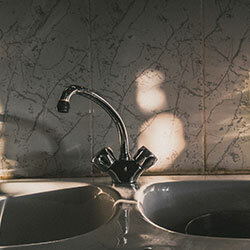 While the water treatment districts do an amazing job at treating our water, the possibility that it is carrying contaminants into your home is likely. Should you worry? For some, using municipal water for drinking is unfathomable and many rely totally on water delivered by truck. Which, for the most part, works just fine. The only downside to water delivery is the cost, it can get quite expensive for a large family. What if we told you that there is an alternative to water delivery? That you can have great-tasting, clean drinking water, right out of the faucet. At ARC Handyman Services, we have the perfect solution to your drinking water fears – a reverse osmosis filtration system. 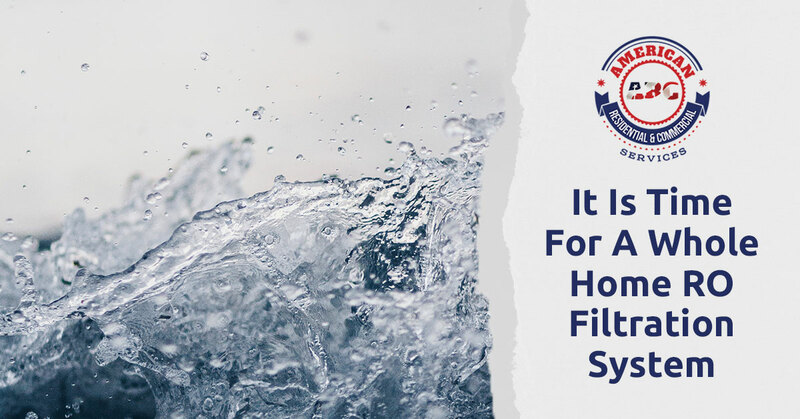 While the concept has been around for centuries, it has only recently become a viable solution for home water filtration. The idea is easy, force a bunch of water through a membrane and you end up with clean, pure water. They use the same system to remove the salt from seawater, and many cruise ships use a RO setup. While the concept is simple, installing a RO system is much more complicated. Fortunately at ARC Services, we install and maintain reverse osmosis filtration systems for many of our clients. We take pride in the fact that we can help our clients rest easy when it comes to trusting the water they use. Don’t spend another month wondering what is coming out of your faucet, contact American Residential and Commercial Services today for more information about our RO water filter installation services. When installing an RO system, it is necessary to splice into the main water lines. At this time, we encourage our customers to consider the other items that need to be repaired or replaced while the water is off. With a little bit of creativity, you can knock out all sorts of projects at the same time as we are installing the RO system. For instance, have you always wanted to redo all of the fixtures in your bathroom? Well now is the perfect time to make these upgrades. We are big fans of getting as much done as possible while the opportunity presents itself. Since we are already working with the plumbing, it would be the ideal time to repair any minor issues that have plagued your system. Things like clogged drains, slow running toilets or even minor leaks are all items that we can take care of at the time. Contact Us For Your RO System Today! If you want your own RO system and need some minor plumbing issues repaired, please contact us and we can put together a service package for you. Incidentally, if you need any more handyman tasks completed, we are always here to help. Be sure and keep us in mind for home improvement projects, painting, carpentry and even cleaning services. We are proud to be your local handyman service, when you need something done, and done right, think American Residential and Commercial Services.